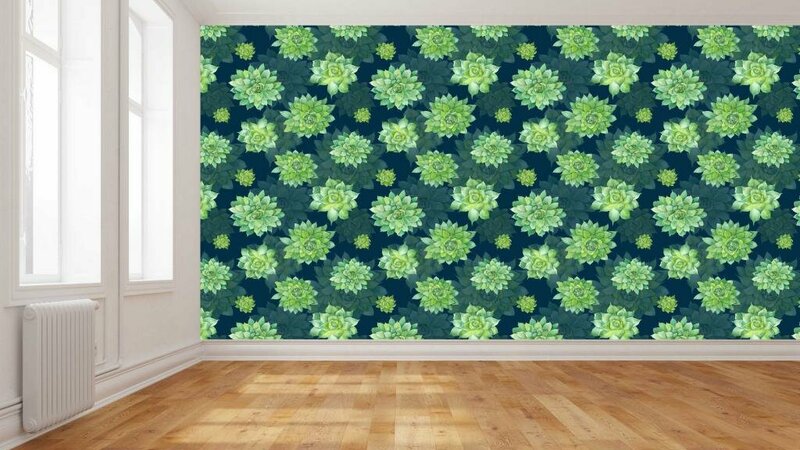 Spicing up your home decor is simple with Create A Wall. Bring the bold, sculptural charm of the cactus plant to any room of your home with our stylish range of cactus print wallpaper. Whether you’re after a vivid riot of colour or a more muted, nature-inspired take on the trend, we’ve got a cactus or succulent wallpaper to suit you. 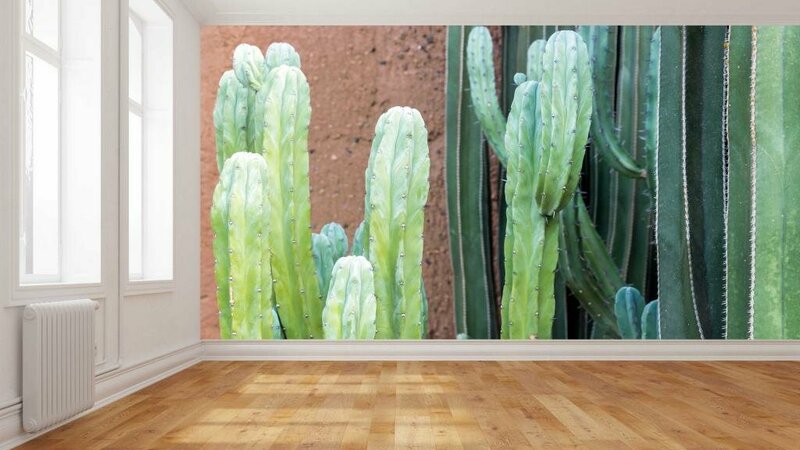 We have cactus wallpaper in a range of colours from classic greens, to vibrant colourful stylised visions. 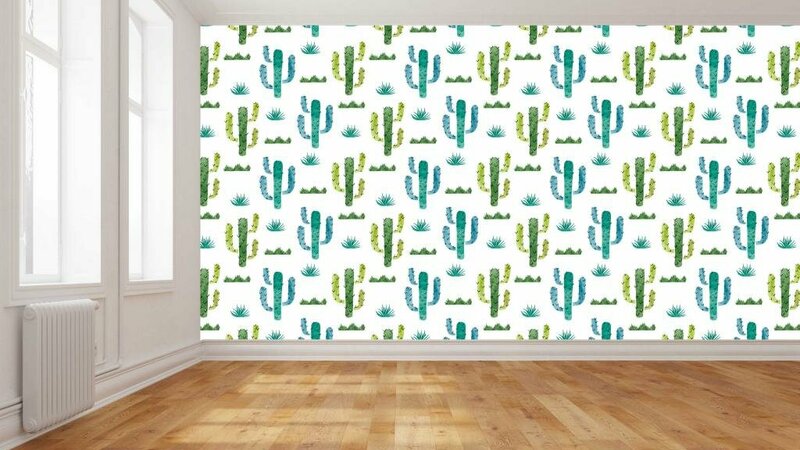 Wherever you are in Australia, wallpaper is an easy way to get in on the cactus craze without the need for a green thumb. 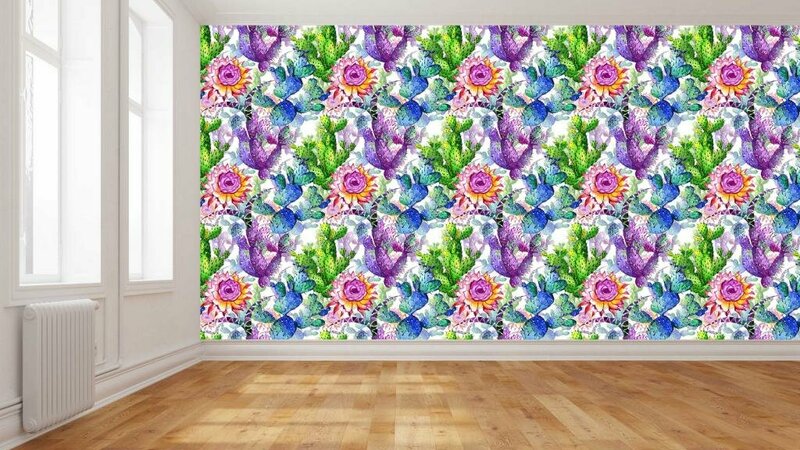 We print digitally on HP Prepasted Wallpaper and Professional Textured Wallpaper products – ideal for DIY and Professional wallpaper projects with a difference. Find out more here. 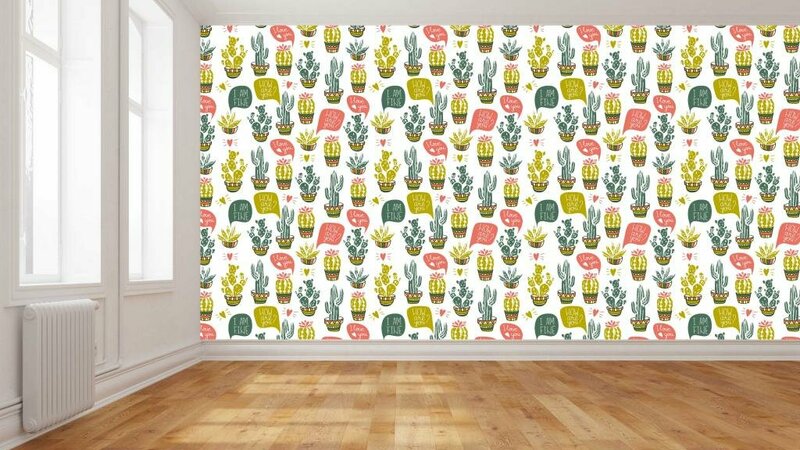 Check out our selection of cute cactus wallpaper designs for a dose of spiny inspiration! Are you in need of a little magic in your life? 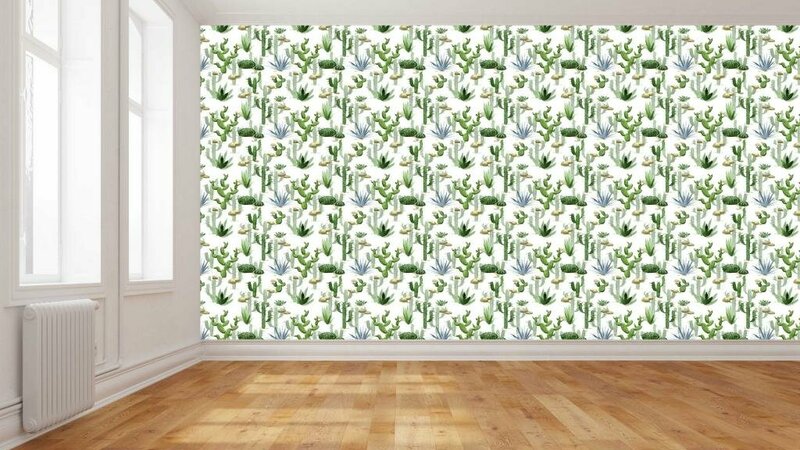 Our online HP design tool lets you reimagine your own images as custom made cacti wallpaper. It also provides access to over 104 million images and patterns for you to play with. Create A Wall offers a choice of two material options for your cactus wall covering. You can find out more about the materials we use here. 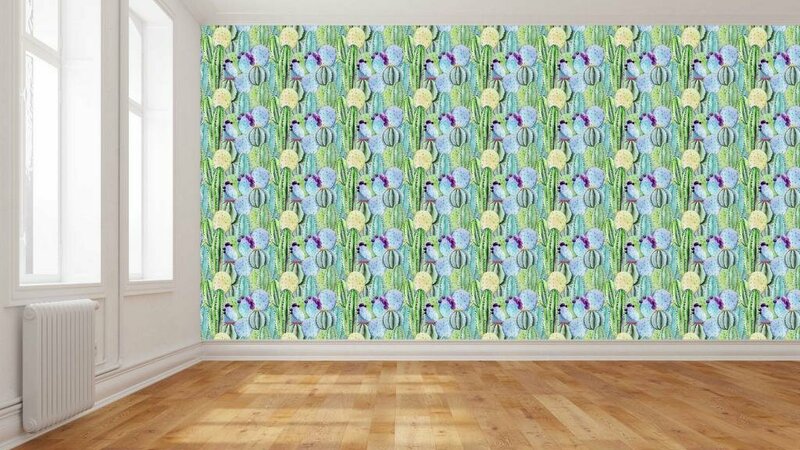 For a DIY wallpaper solution that’s cost-effective, chemically safe and simple to install, Create A Wall prints on HP Wallpaper. This pre-pasted, PVC-free wallpaper maintains its strong adhesive over time, while remaining removable. 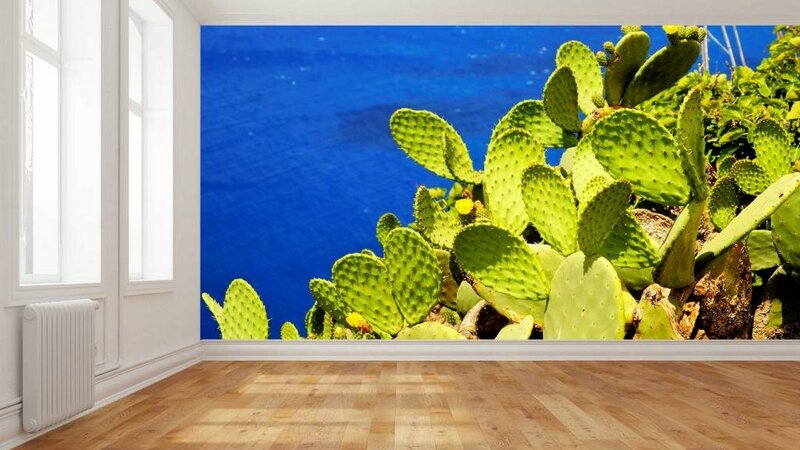 Our self-adhesive wall coverings are printed on PhotoTex, Australia’s market leading self-adhesive fabric. This ‘peel and stick’ product is designed for easy DIY installation, making it a flexible and dependable option. To talk to us about adding a personalised touch to your home or office, simply give us a call on (03) 9532 3232 or fill in our contact form below. 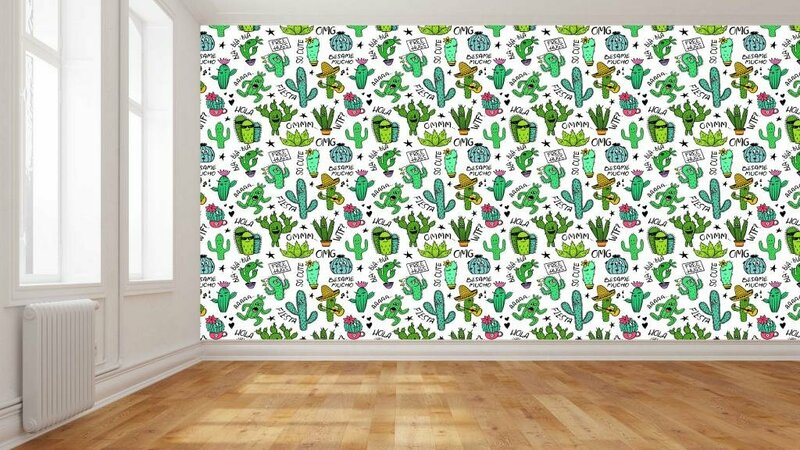 Whatever it is that you have in mind, we’re your go-to for cactus wallpaper, Australia-wide.